Crop circles - Miscellaneous. Explanation, decipher, decode, discovery, break code, explaining, decryption, puzzle out, scientific research. Among other things, here will be collected some errors, which were untill now committed by explorers of Crop Circles patterns. Possible future to some special page. Also, some interesting events from the past, where belong also random objective observations. 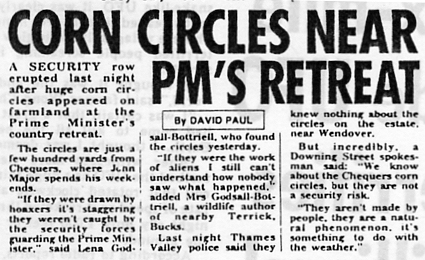 A SECURITY row erupted last night after huge corn circles appeared on farmland at the Prime Minister's country retreat. The circles are just a few hundreds yards from Chequers, where John Major spends his weekends. "If they were drawn by hoaxers it's staggering they weren't caught by the security forces guarding the Prime Minister," said Lena Godsall-Bottriell, who found the circles yesterday. "If they were the work of aliens, I still can't understand how nobody saw what happened," added Mrs. Godsall-Bottriell, a wildlife author of nearby Terrick Books. Last night Thames Valley police said they knew nothing about the circles on the estate near Wendover. But incredibly, a Downing Street spokesman said: "We know about the Chequers corn circles, but they are not a security risk." "They aren't made by people, they are a natural phenomenon, it's something to do with the weather." at composer Andrew Lloyd Webber’s country residence at Kingsclere, despite the property being manned by a 24-hour security team. With the extensive grounds rigged with sensors and microphones, a research team looking for the pictogram was apprehended within minutes of their arrival. But nobody had been caught making the pattern. Webber was on holiday at the time and his security staff rang to tell him what had happened. Convinced that all crop circles were fakes, he demanded to know how the hoaxers had got in. When he was told that it seemed there had not been any hoaxers, he was very excited. Fig. 9.4 The beautiful crop formation that confused Andrew Lloyd Webber – even though he never bothered to look at it. In the summer of 1991, Terence Meaden, and a team of Japanese scientists had a field under the supervision of electronic equipment, including radar, magnetometers, video with night vision, motion sensors. Under cover of fog appeared formation of small dumbbell, but none of the scanners has not registered of whatever intruders. The officer of the army located on Salisbury Plain in training area once encountered crop circles in an active minefield. In addition, it is quite likely that there are more cases where were Crop Circles found in a location that was completely impenetrable guarded by military, police, private or other protective service, but the fact remains not published for reasons of confidentiality. "I would like to fill this gap. For example, already by that, like last year and the year before I would like to submit unbiased reports from European and world cereal fields. Would be unbiased in that they do not want readers impose any of the possible hypotheses of their origin, whether they are aliens, circlemakers, wind whirls, planet the Earth, spirits of grain or secret military projects, etc." Note: in the L. Cermak blog may be found a series of contributions, which are relatively objective, dealing with the description and evaluation of the shapes in crop, especially in England, but also in our country (Czech) and elsewhere in the the world. Many places with the occurrence of agrosymbols author personally visited, so the posts can serve as a valuable repository of informations. Other papers are devoted to famous figures of white horses and people, elsewhere explains the origin and use of the name Ley Lines and is also engaged in further reflection on the prehistoric settlement of Celts and megalithic and other prehistoric structures. Very useful for understanding the history of places and contexts described, may be recommended. The only disadvantage of the aforementioned blog can be seen, that the vast majority of references to cropcircleconnector.com (to any earlier than the last season) no longer works, because they were moved to paid area of the web. But the informations from the blog they are communicable enough without them. The references to cropcircleconnector year 2011 are still functioning. Written in February 2012. "That strangely curved samples from the pictogram at All Cannings show that there operated some other force than boards and strings. Hypotheses of circlemakers - forgers thus are here failing. This would prove only a special technology that is yet unknown to us. It is thus whoever does not believe in otherworldly origin of patterns in crop, still any chance of finding any terrestrial hypothesis? " The plants were not at all under influence of any unknown and incomprehensible force. The stalks bent to the ground, because they were weakened. Stalks bent to the ground, because they were weakened. It is possible to very clearly convince about that by tensile and bending strength testing of lodged (damaged, weakened) stalks from patterns and that of standing outside. The force needed to deflection stalks from the vertical position by a certain angle is at stalks inside the pattern much lower than outside. Even stalks immediately around the pattern border and up to a few meters towards the standing crop will exhibit up to multiple weakening against stalks entirely not affected by electricity. Enormous mistake, ranking between ignorance and dilettantism, was easily demonstrable fact that they never visited, and otherwise were not interested in the areas where the crop was lodged (damaged, weakened) quite commonly, irregularly, nor in the characteristics of plants and crop stalks, and their parts (nodes etc.) that there are located. This is one of the worst examples of dilettantism and unscientific work ever exhibited in the world. A similar activity is not possible call the research even a hint, let alone scientific, as appointed dilettants like to call their work by themselves. Individuals who have attempted or will be attempting to organize in a similar way any survey in regular patterns in the cro, should belong only one label: Primitives. These are one of the most primitives, dilettanti and bunglers all over the world of all time. -----Another of 18,697 highly visible errors, the various self-appointed mystery followers piled during their research into the ignominious mystery followers heap of manure: They assume that on plants only a relatively short time (minutes) operated a mysterious energy that would be able to have something to do with electromagnetic radiation (microwaves?). Such energy was acting minutes at most tens of minutes, and during the next few minutes, at most tens of minutes is to take place lodging (bending to the ground. It is possible to completely objectively prove that any energy that would have on any plants operated for several minutes to tens of minutes at an intensity to cause a mechanical weakening of the tissues, so after a few more tens of minutes, they were lodged (damaged, weakened) would be much higher than the energy required for their total death. Mystery followers also consider, that on plants might operate some unknown forces, perhaps occult - psychological character, like levitation, telekinesis, which has resulted also in all on-site observed electromagnetic, physical and other changes in soil and plants. Also any other on that site observed difficult explainable phenomena. Thermodynamic and all other laws of Nature and physics, but would have similar effects, so even after exposure to any occult - witchcraft - levitation forces on plants to the extent necessary would inevitably have to be completely dead. All happenings namely on the Earth should be subject to the local physical laws, also acting to all witches, magicians, mysterious and unexplainable phenomena, as well as Father Frost and Baba Yaga, Nastenka. -----Meaden and Lewengood although have been fairly close to deciphering of the phenomenon, but their own faulty reasoning found themselves in very difficult verifiable or completely unverifiable considerations. They got thus for miles or more like light years away from possible solutions. Their reflections consistently connect electromagnetism. Almost the only, while also the largest temporary natural electromagnetic phenomenon is the lightning discharge. They very quickly started to think about mysteries, the first microwave (L), second (M) to severe air vortices, electrified by friction. Together, united the belief in, "something electromagnetic incomprehensible" phenomenon as the occurrence of connect in various places. That the connecting phenomenon may be very intense, very understandable electromagnetic phenomena - the lightning discharge, but so far did not get in their deliberations. It could be explained through a series of objectively identified and identifiable as well as measurable anomalies at the point of Crop Circles. Not many, but almost without exception all. Including all very subjective and very difficult verifiable feelings of visitors to places where patterns occurred. BL: I think that crop circles are definitely some weird product of intelligence, something that is elsewhere. Anyway, what we do not know is if there are crop circles created by extraterrestrials in physical form or other creatures that come from such different dimensions of our reality. But certainly we know that these artists, authors, are very intelligent, creative and have great knowledge of geometry, proportion and mathematics and are able to create patterns so beautiful and precise detail. Although nobody has ever seen any creature from another planet to create crop circles but everything suggests that come from elsewhere. We also know that there are patterns "artificial" that are created humans but most of us are able to recognize these from that "genuine". -----"Catch your own Crop Circles hoaxer"
Something like that could really nobody ever had to try, because if he would during a similar attempt've made a "catch" the true author of crop circles, or meet with him (shake his hand), already would never return back from the field, and if he was ever found, carried away him from the field, as they say "feet first" (but only if his body would be located as a single, integrated specimen). 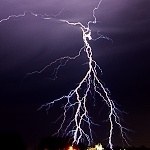 Because what happens during lightning strikes (in the case of the so-called "Return Stroke"), if his body was really affected by that and not only by some of the phenomena preceding or accompanying it. 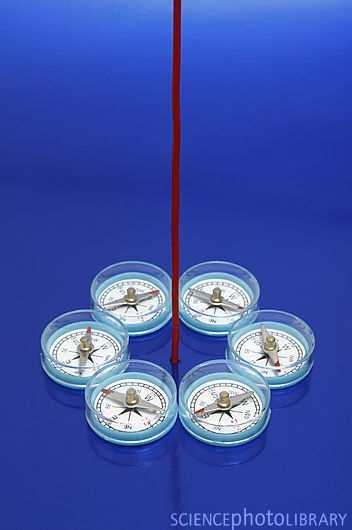 Stepped leader, positive streamer - those all do not necessarily turn into Return Stroke, that during the discharge takes place only one or a few - on average 3 to 5, some of them may have multiple parallel arms, while the positive streamers, unconnected may arise up to several tens unfinished stepped leaders as well as many tens to hundreds. In the case of direct action of RS is the integrity of any subject very seriously disturbed and it is not impossible that any object that could be before the intervention of RS described as a living organism was very equally distributed over an area of several hectares after the previous disintegration into the parts not exceeding the size of several centimeters. At the same time or shortly before described disintegration (thousandths of a second fraction) would be a very substantial part of the original living organism (tens of percent weight) converted into gas. Designated RS accompanying phenomena, preceding and following, the Stepped Leader, Positive Streamer, Continuing Current - do not transmit more than 1% of the total discharge energy, yet any of them could kill a herd of cows. The vast majority of living beings, including people, killed by lightning are probably not killed by the intervention of the RS, because they are at the time of its impact long ago dead, or at least stunned through the events that preceded it. Although it seems very unlikely, some animals protect from death the lightning discharge by its own, because knocks out them by some phenomenon preceding RS so they are lying on the ground. Some will kill anyway, yet can also fall from a height. Some may be killed even after, due to the fact that RS hits too close to them. But nevertheless any animal lying on the ground need not be directly affected by RS, already just for the simple reason that for the impact will use a much better conductor. Currents of several hundred thousand amperes really need a "better lightning rods". Any even very dimensional animal, affected directly and precisely by RS, immediately explodes. Like some of several-ton trees that were affected "a lot and directly inside". (photo) All trees, that are due to the lightning discharge "only" cleaved, deformed or broken, in fact RS just only "licked", was conducted right next to them. -----One of the greatest mistakes of Crop Circles explorers is to ask for help with "research" of Crop Circles ufologist, astrologers, mystery believers, actaX-logists, wizards, psychotronics, extrasensory individuals, esoterics, occultists, magicians, witches and various other similar sciolist. Similar vermin to the site automatically begins climb like cockroaches or wasps on beer. Why not ask for on-site survey representatives of classical science and basic research, botanists, farmers, physicists, chemists (toxicologists !!!!! first of all), biochemists, biologists, geologists, speleologists water managers meteorologists hydrogeology archaeologists, photographers specializing in Time-lapse photo? Simply because they would enable them "inexplicable" phenomenon to explain once and for all of which they have the greatest fear and should lost any of their earnings. ----- Any claim of "200, 300, 500% elongation nodes is not possible in nature Conditions" is a nasty lie. Nebozí výzkumníci Crop Circles totiž na sebe jen nechtěně prozrazují, že kdyby nebylo jevu Crop Circles, v životě by žádné pole nenavštívili. Samozřejmě také to, že nikdy nikde nenavštívili žádné pole s normálně, nepravidelně polehlým, se stébly ohnutými k zemi obilím. Našli by totiž naprosto shodné změny kolének, včetně těch, které tak hrdě nazývají "Expulsed Nodes", nebo "Expulsion Cavities". Zjistili by, že se jedná o naprosto běžné a přirozené změny u jakéhokoliv polehlého, na zemi ležícího obilí. All their work was in fact previously carried out in a way that photographed and took samples of nodes from the patterns with lodged (damaged, weakened) crop, and samples from nearby locations where the crop was not lodged (damaged, weakened). But what did they previously have never made in a number of decades, say again Never made, again must emphasize NEVER made, they did not go somewhere far away from regular shapes surveyed by them, in places where there are some RDF (Randomly Downed Formation, better say irregularly lodged crop), and took samples there as well. Would have found that nodes and plants in such places show absolutely the same changes, including that by them so much adored "expulsed cavities", "exploded nodes", which all consistently attributed if not extraterrestrial origin, at least the cause of the kind of "spiritual - pretersenzual - extrasenzual - astrological "in the field of spirituality, paranormality, astrology or any other similar lousy junk science. Would have found that absolutely all of by them captured changes in growth - extended and bent nodes, including any suspected changes caused by gas pressure (supposedly according to them), but in fact they are quite natural growth changes caused by mutual pressure of growing tissues. On some still green parts of plants may cause the pressure of other, already dead and dried, or just dying and drying (these are quite natural consequences of the processes of growth and maturation of annual plants). Delayed maturation of lodged (damaged, weakened) plants occurs entirely without exception to all the places with irregularly lodged (damaged, weakened) grain, and possibly then be able reach to the view: what if it were possible that all, also regularly lodged (damaged, weakened) crop patterns, also completely irregularly lodged (damaged, weakened) crop anywhere else in the field, has exactly the same cause? He's right, Chairman! Opožděné dozrávání u polehlých (se stébly ohnutými k zemi) rostlin se vyskytuje naprosto bez výjimky na všech místech s nepravidelně polehlým (stébla ohnutá k zemi) obilím. Almost without exception, all explorers Crop Circles in fact only parasitize of the fact that between the field of grain and a roll or slice of bread is a very long distance, and the vast majority of the general public never saw crop fields differently than from the window of a train or car. In their defense possible show that from the evidence submitted by them almost clearly follows that the on the general public lack of knowledge Crop Circles believers parasitize mainly due to their own ignorance, because from the poor general public they are separated only by a few more visits to the fields, where occurred some regular patterns in the crop. See also the places where the crop is lodged (damaged, weakened) only quite irregularly, it would be deep below their level, and it is completely unnecessary after all, because they were originated in a completely different way and nothing similar to that can not be located there. Wrong! In all places with irregularly lodged (damaged, weakened) grain would have found many signs that by them are absolutely without exception attributed to "mysterious effect of unknown energetic phenomena" that would throw up from that. Any enigmatic phenomena and the effect of unknown forces both quickly forget. Everything belong to existing logical activity and measurable forces, while at the same high-energy is correct. Note: The exception are for example Crop Circles explorers from Italy, who probably first noticed that irregularly and regularly lodged (damaged, weakened) crop has much in common, and in many places on this site is for that repeatedly thanksgiving to them (photo). -----Observers (mostly self-declared "experts" to the issue of Crop Circles) are completely shocked by the fact that nature itself could create something so incredibly complex and symmetrical. Observers significantly underestimated Mother Nature, as every single cell of any organism is a million million times more complex than even the most complex pattern in the crop, but it is a very symmetrical structure, and in addition performing many functions. Anyone wondering, that nature can create beautiful crystals and their assemblies, various crystal others? Thousands of various other completely naturally generated fractal units, delta rivers flowing into the sea, the branches of trees, vascular systems of plants and animals, discharge structure of lightning, the root systems of plants, planetary systems, galaxies, molecules, macromolecules, and millions and billions of other examples not listed here? 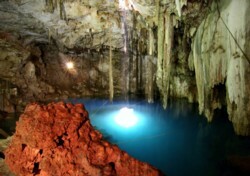 Nature without any problems all the described structures created over millions and billions of years. We are and will all humanity continue to be such fools, that we will continually be attempting this ability to precisely and accurately in this one specific case remove? All other nature abilities we acknowledge, millions and billions of other cases of the formation regular and fractal structures, including our own body. Even the whole human body is a very regular structure, using thousands and thousands of entirely natural ability to form natural fractal structures. All that namend abilities we allow graciously to nature, also many billions more others, and only in this one single case, we will try to attribute the whole issue to extraterrestrials, unknown energies and conspiracy theories? One of the biggest blunders self-styled "researchers" of Crop Circles is the fact that the date of creation fractals considered early 20th century, when they were discovered by their discoverer, or even to 70 years when the the first time computer-simulated. In fact, existed anywhere since the first moment of the Big Bang, and even very likely any time before, either trom philosophical or physical point of view. Dear (retarded) fans of mysteries allow the greatest chance of some mysterious energy, if not so mysterious preferably microwaves. But first of all, most like some mysterious, yet undetected form of energy. If it was after all just (they even for them) was some "common", completely not mysterious form of energy, according to them, should it also have some special, mysterious and supernatural properties. Only due to these effects, the results of common forms of energy would be formed into such a special and incomprehensible regular shapes. Even if it was just a completely ordinary electric discharge, according to them it would have to be at least "Unknown or previously undocumented kind of electrical discharge." Can one imagine something like "unknown type of electrical discharge"? Perhaps only the fanatical adherents of mysteriousness and mysteries. All possible existing electrical discharges are by physicists and natural and physical laws perfectly described and characterized. In cases where mankind needs them to something, they are really very reliable used (combustion engines, lithotripsy). In cases where they are completely unusable for humanity, such as lightning discharges, they are at least very well described and characterized. However, as already has become customary rule, all described fields of technology, science and research belongs inseparably completely to one branch of basic or applied research. These are all activities to which the admirers and lovers of mysteries fears it like the devil. They namely from among of everything most like moving only in their totally delusional rings and intricate beyond all recognition cobwebs and errors. They are all assembled on the principles of operation of extraterrestrials, psychic energy, psychical media, secret research and dozens of similar sciolist claims or conspiracy theories, and harp on them over and over again like on spinning wheel. It will be a huge disappointment for them, that the phenomenon thus inexplicable to them, such as crop circles, it can cause something so disgustingly common as the lightning discharge. Simply enough examine a few professional publications (Uman, Rakov, www.ufl.edu), to be able to convince anyone that the "ordinary" lightning discharge is a matter of truly extraordinary. The enormous energy, very regular and ongoing controlled by very precise rules and physical laws. Were able possibly over time to explain it even to themselves, that the physical phenomenon that could move an electric locomotive at a distance of many thousand kilometers with the train, there really is no big problem to change the direction of growth of crop (mostly due to damage), or "knock a pin into the ground". To mystery lovers will last for many years before they will be able accept a similarly primitive explanation, that someone in thus offensive manner "trampled underfoot their mud pies". 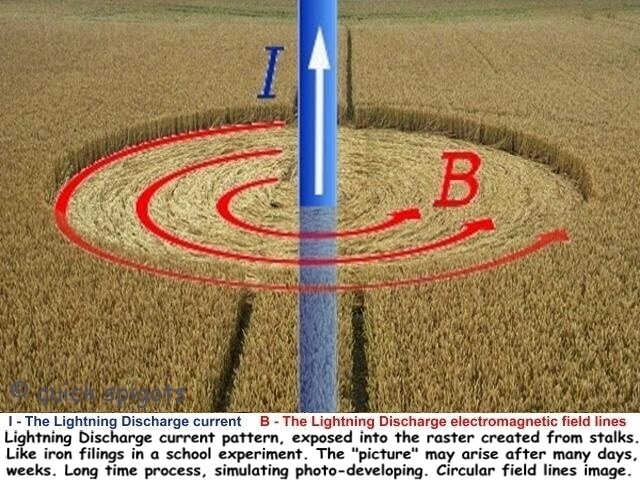 Through a recent lightning discharge is possible to explain entirely without exception, all the "anomalies" observed in areas of crop circles occurrence. At random dried soil under pattern, changes in compass deviations, failures of electronic devices. If the lightning discharge current and voltage were supplied permanently, would be able to provide power for operation of several billions of tokamaks, or millions CERN accelerators at a time. One of the greatest mistake, which was untill now practiced by all Crop Circles explorers absolutely without exception, is the fact that on the Crop Circles site passed a single visit or airplane flight, took photos, and the matter was for them completed by that. Their basic and most important business but should be a regular visit to each such place during at most a few days intervals until harvest, also a little after. They document in fact perfectly normal natural phenomenon that takes place over time (see chronology), and also develops over time. Long before bending, and after that until the harvest even after harvest. Originally lodged (damaged, weakened) only a few percent of surface area of the field is often multiplied. Very easily could have found that on the affected areas is lodging (damaging, weakening) gradually more and more crop, and that by them examined, "utterly incomprehensible up to supernatural" phenomenon has much in common with quite commonly lodged (damaged, weakened) crop. That the originator of regular and completely irregular lodging (damaging, weakening) one and single is. Should be the best, advise to Crop Circles explorers visit and similarly document in the interval of several days fields with quite common, irregularly lodged (damaged, weakened) crop. Would have found, that the situation is evolving very similarly like near and in the areas of regular shapes. Exploring fields with irregularly lodged (damaged, weakened) crop would be probably something below their level. It would be better rather leave them continue dream their relentless dreams about extraterrestrials and their flying machines, mysterious energies and of fungal diseases insects that can kill so quickly that even not able to to release stems (see). that can no longer be described only as errors, are indisputable delusions and targeted mystification, lies and misinformation, bordering on conspiracy theories, horribly using ignorance of lay audience. Those, of course, these sites tend to avoid, as much as possible, but sometimes it is not quite possible. Readers can make at least a rough idea of how many mystery dealing manure occasionally must serious researcher rummage through. Various delusions built around Crop Circle geometry - even needless to specify examples, just enter the term into a search engine. Exactly the same graphs and results can be obtained, if will be subjected to similar research any molecule, atom, crystal. Structure of leaf tree (venation), and others, and more. ... samples were sent to find out whether the plants were under the influence of microwave radiation. ... it was confirmed that yes. where they were sent, when, by whom? who examined them, how, through what reasoned to a similar statement? how was determined the frequency of the radiation? what a simple man is able at all similar totally unproven allegations publish anywhere?